Before the war with Moscow. Extraordinary Sejm in Warsaw. 1654. After the first Sejm in 1654, which did not pass any resolutions and was dissolved in April 1654, another Sejm was convened, this time an extraordinary one. The pre-sejm Sejmiks (regional assemblies) were held in May 1654. The Sejm session began on 9 June and ended on 20 July 1654. Krzysztof Grzymułtowski, the Castellan of Kalisz, was elected Speaker of the Chamber of Deputies. 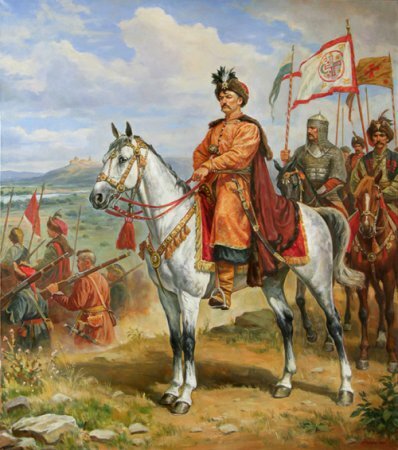 The Sejm was convened in the face of the threat of war against Moscow, which became real in connection with the adoption by Bohdan Chmielnicki, the leader of the rebellious Kozaczyzna of Moscow protection (in Perejasław on 18 January 1654). Due to these threats, the Sejm dealt primarily with the issue of defence, hence preparations for a possible war were a fundamental issue, which was undertaken during the Sejm debates. However, the Sejm took a long time, as procedural issues, such as the Deputies' "rugi" (verification of the validity of Deputies' terms of office), took up a considerable amount of time. See: A. S. Radziwiłł, Pamiętnik o dziejach w Polsce [Memoirs of Polish history], v. 3. 1647-1656, Translated and edited by A. Przyboś i R. Żelewski, Warszawa 1980, p. 418-432; S. Ochmann-Staniszewska, Z. Staniszewski, Sejm Rzeczypospolitej za panowania Jana Kazimierza Wazy. 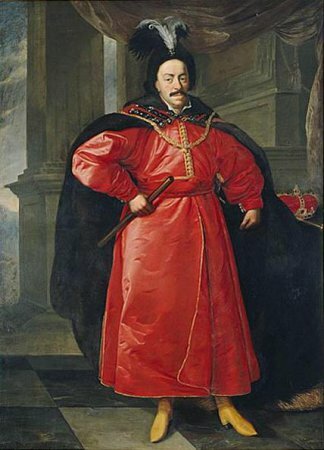 Prawo-doktryna-praktyka [Sejms of the Commonwealth under the rule of John II Casimir Vasa. Law-doctrine-practice], v. 1, Wrocław 2000, p. 199-232; W. Czapliński, Sejm w latach 1587-1696 [1587-1696 Sejm], in: Historia sejmu polskiego [The history of Polish sejm], v. 1, Warszawa 1984, edited by J. Michalski, p. 217-299; E. Opaliński, Sejm srebrnego wieku 1587-1652. Między głosowaniem większościowym a liberum veto [Sejm of the Silver Age 1587-1652. Between the majority voting and liberum veto], Warszawa 2001. Legislation see: Volumina Constitutionum, v. 4, part 1, Prepared for printing by S. Grodziski, Marcin Kwiecień, K. Fokt, Foreword W. Uruszczak, Warszawa 2015, p. 318-344.